The new Shimano PD-M9000 XTR pedal is the standard that all other pedals only hope to achieve. 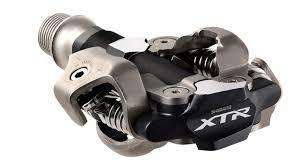 The XTR pedals shed mud well, provide a large platform and weigh in at 325 grams. Top all of that off with a three year warranty.